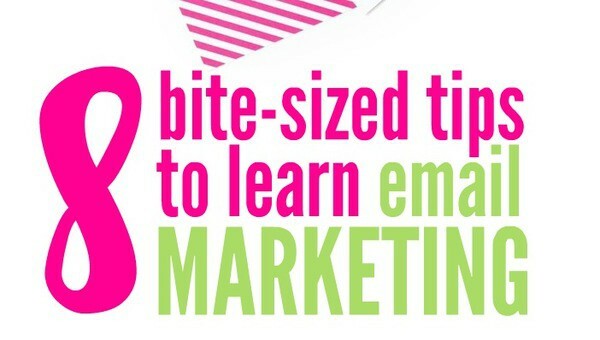 Email marketing should be a component of your overall marketing plan . Email marketing is essentially the same as direct mail, but instead of sending items through postal mail, you’re sending digital communication electronically. There are several options and a lot of variables to consider. If you are just starting out, this might seem a bit daunting to you. Let’s walk through the basics and make it a little more manageable for you. 1.Why is email marketing important? Email is opt-in, so you are talking to potential customers that have already expressed an interest in your product or service. This helps to ensure that you are hitting your target market. It’s also customizable. You can create list segments, schedule sending times, and it’s easy to monitor your results and make changes based on your successes. Email marketing can be a very targeted and specific marketing tool. It’s easy to see returns on your investment and it’s easy to change your strategy when you notice things that aren’t working as efficiently as you like. 2. Why do I need a specialized platform? HTML emails created with these tools look more professional and are less likely to be reported as spam. Email marketing platforms allow you to grow and manage your lists easily. They offer great tracking tools to monitor your efforts and successes. If you operate your own website or blog, these platforms won’t be difficult for you to use. Most importantly, the CAN-SPAM Act requires commercial messages to have an opt-out mechanism, which allows recipients to unsubscribe at any time. If you're found to be in violation of these rules you can face costly penalties (up to $16,000)! Email marketing platforms automate this process so you're in compliance with the CAN-SPAM Act. 3. What platform should I use? Some popular options include Constant Contact, SendinBlue, and MailChimp. Constant Contact seems to be more top of the line and offer with more bells and whistles. It’s also the most expensive of the three. I’ve never used Sendinblue, but it seems to be a great option for businesses on a budget. I’m currently using MailChimp, because of its free option for less than 12,000 emails per month. I encourage you to research your options, try out their free trials so that you can get a feel for their back-end system and then make a decision that fits your specific business’ needs. Marketing on a shoestring budget? Here are 5 free email marketing platforms. 4. Why should I segment my list? If you offer a wide variety of products or services, it might be a good idea to segment your list. This will help ensure that your audience is receiving relevant e-mails and cut down on potential spam reports. When preparing e-mails to go out, you can then specifically target them to the groups you think would be most interested. This is an easy option to use when you set up your email marketing platform. 5. What is my content? Each email should have a call-to-action. What do you want your reader to do after opening and reading your email? Ask them to do just that. First, you need a great, attention-grabbing subject line that causes them to open the email before deleting it. 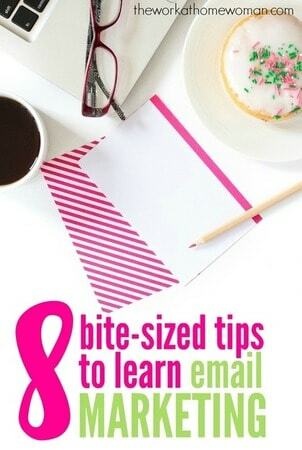 Your subject line should be relevant, short and interesting. Inside, you should keep on point. Attractive images are always good. Long narrative will get overlooked. Also, make sure to always include links to your website, blog and other important pages. 6. What is my open and conversion rate and why is it important? The open rate is the percentage of emails opened within a specific email marketing campaign. Of the thousands of emails, you sent out, how many were opened? It’s an important statistic to monitor to see how successful different campaigns are, how different subject lines can affect results, what time and day are better for sending, etc. The conversion rate is the percentage of your recipients who respond to the call-to-action in the campaign. How many recipients use the coupon code, attend the virtual event, etc. These numbers give you a lot of insight to your efforts. 7. How often should I send emails? Most likely, your efforts will be a little slow-going at first. Don’t let this discourage you. As with any marketing, consistency is key. Stick with it. Set up a plan on how often you plan to send emails and then carry it out. Customers will come to expect seeing you in their inbox regularly. There is always a balance between too much and not enough. Be honest and upfront with your members about how often they can expect to receive your emails. If you’re going to be sending out weekly or daily specials, tell them that from the get go. For more information based emails, I usually recommend a consistent monthly mailing. 8. How do I grow my list? Be sure to include a sign-up box on your website, blog, and social media pages. I also like to include a link in the signature of my traditional email. Contests and other incentives are also a great way to grow your list quickly. Offering a free giveaway, like an eBook or something at sign up is a nice option. Is there a special instant coupon you can offer? Ongoing incentives are great too. You always want to keep your readers engaged and invested in what you have to say.